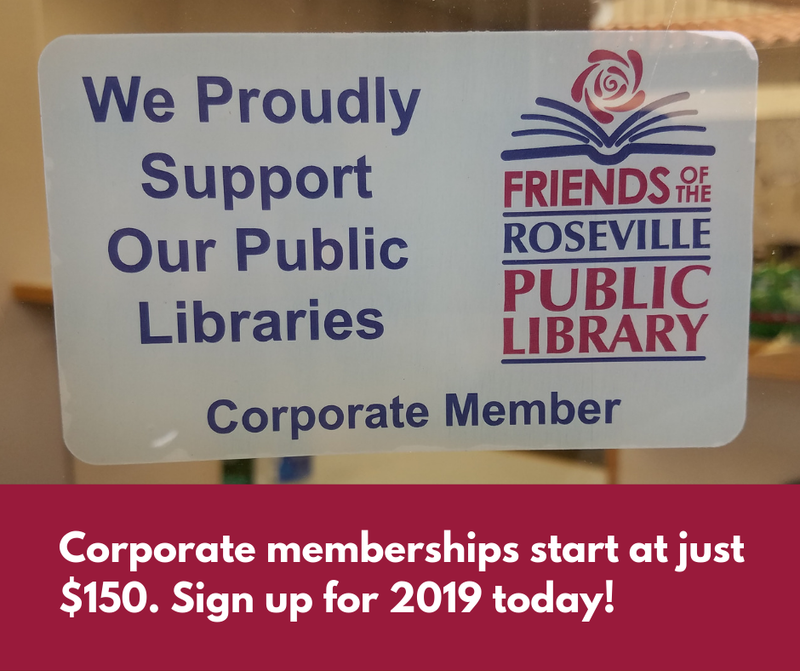 Help the Friends bring library programs to the community by becoming a corporate member today! ​Download our corporate membership flyer here. To become a premiere sponsor, please email us at sponsorship@rosevillefol.org to check availability and arrange payment. Thank you to our wonderful Corporate Members! Don't forget to let our Corporate Members know that you appreciate their support of the library! Be sure to check them out!